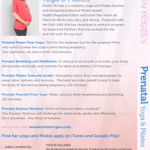 This is by far the best prenatal yoga DVD out there. There are several different parts, so there is something for everyone. From breathing and meditation to powerful strength-building moves, this is all you need from week 1 to 40. I really appreciate the active yoga part of this DVD. I have been able to maintain a healthy figure while being pregnant. Now, at 33 weeks, I have gained a healthy amount of weight and feel great. In addition, I know that the poses are not only toning, but are also prepping me for labor and delivery. 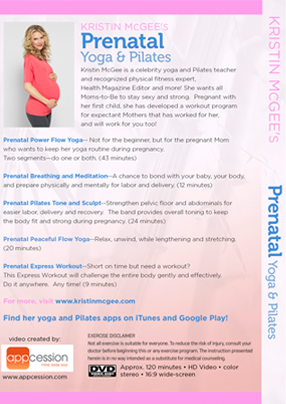 I can go on and on about this DVD but to sum it up, once again Kristin McGee does not disappoint in providing an efficient, manageable and well-rounded workout.